Lymes disease is a dangerous disease, that is equally dangerous to humans as it is to other pet. The disease is technically an infection, spread through tick bites that affect the skin, the heart, the joints, and the nervous system of its victims. Also known as Borrelia, Lymes disease can be fatal if not treated. 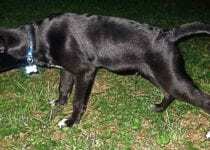 it is One of the most common dog diseases. it has been seen in dogs in every part of the United States, although it is more common in certain geographical areas, including New England, California, and parts of the American South. It is caught from a cork-screw shaped bacteria called spirochetes. spirochetes bacteria are transmitted through bites from ticks that have attached themselves to your dog’s skin. The ticks, in turn, catch the bacteria from certain varieties of white mice. An infected tick must remain stuck to your dog’s skin for at least two days in order for the disease to take hold in your dog; unfortunately, these ticks are very small and often difficult to detect on your dog. There are actually three different kinds of ticks that are carriers of Lyme Disease, although the majority of cases are transmitted by the Deer Tick. limping, a higher than normal fever. A dog with Lyme Disease may appear to be only in mild discomfort at first. over a period of several days may suffer such intense pains in the joints that he or she will refuse to move. One problem with diagnosing Lyme Disease is that its symptoms closely resemble a number of other diseases involving the dog’s lymph tissue and its immune system. At the same time, dogs are sometimes mistakenly diagnosed with Lyme Disease when the disorder is actually something else entirely. However, time is of the essence if you suspect that your canine may be suffering from Lyme Disease. If caught and treated early, your pet dog will likely suffer no permanent damage. If left untreated for too long, the disorder can cause damage to your pet dog’s heart and muscle tissue, and well as joint and nerve damage. If you see any symptoms that indicate Lyme Disease in your previously healthy dog, it is best to get him or her to your local pet hospital as quickly as possible for a diagnosis. The vet will give your dog a simple blood test to see if the Lyme bacteria is present or not. Unfortunately, the blood test by itself does not always give a definite answer, and the veterinarian will also take into consideration your dog’s health history and other present symptoms. Treatment is usually an antibiotic, which your dog must take for three to four weeks.